Are you 100% certain that the water coming from the plumbing fixtures in your home is of the highest possible quality? Are you concerned that your water may be the root cause of any health issues among your family members? Whatever the case may be, you can count on our water treatment system specialists to ensure that you have what you need to resolve any potential problems with the quality of the water in your home. If you want to ensure that your water treatment in Northern New Jersey is both effective and reliable, be sure to work with a member of the Mark Lindsay and Son Plumbing & Heating Inc team. In this day and age you shouldn’t have to tolerate anything less than great water quality. Whether you have municipal water or a private supply, we’ll make sure that your water quality is stellar. What Are My Water Treatment System Options? There are a number of different ways in which your water quality may suffer. If you are serious about resolving these problems successfully, it is important that you use the right water treatment system(s) for your particular needs. We carry, install, and service many different options. A reverse osmosis system is a considerable investment, but also one of the most effective means by which to clean up the water in your home. By using a sophisticated set of filters and membranes, RO systems can filter out even very tiny pollutants. Filtration is fine for many pollutants that may be present in your water supply, but certainly not all. Biological pollutants must be destroyed, not just filtered out, and a UV air purifier can get the job done reliably. You may have some experience with point of use water filters, but a whole–house water filtration system is a different beast entirely. 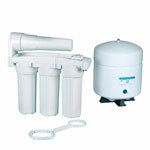 We’ll make sure that your whole–house water filter is in great working order. Hard water is one of the most common issues with water quality that homeowners encounter. Its commonness doesn’t make it any less problematic, though, so take advantage of a whole–house water softener. As you can see, there are many different ways in which your water quality may suffer. That is why professional water testing may be necessary to determine precisely what is wrong with your water supply. When you opt for a whole–house water quality solution, you need to have that equipment professionally installed. These systems are far more complex than a simple carbon filter jug. Let us ensure that your water treatment system installation is top notch. If you find that your water quality is on the decline once more, just let us know. The return of foul odors, discoloration or gastrointestinal issues may mean that a water treatment system replacement is necessary. We’ll get the job done right to restore exceptional quality to your potable water. Do You Need Water Treatment System Maintenance or Repairs? For the most part, water treatment system maintenance is minimal. 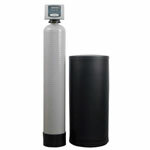 Filters will have to be changed, and the salty brine in your water softener may need to be replenished. Having your water treatment system maintenance completed on an annual basis, though, is a great way in which to prevent problems from developing. Should you have any reason at all to suspect the need for water treatment system repairs, contact us immediately. You don’t want to put your health or the condition of your property at risk due to a malfunctioning water treatment system. Instead, get our staff on the case to resolve the problems swiftly and effectively.